Wow, that was a long title. Just letting you know about a couple of guest posts I've done recently on other blogs. Here I have my Christmas Tree nail art tutorial which is featuring on my friend Anjali's blog HERE. I did the same design in silver but on all my nails, so check out the post to see it! Also, if you're from New Zealand don't forget to enter my nail art competition! Anjali also recently made a facebook page for her blog, you can find it here! The other guest post is on Nails like Lace and is showing this mosaic design! Can you see the little hearts on the ring finger and thumb? As you can see, these were done before my nails *tear* broke, although I have to admit that I'm getting used to my new shorter nails. These are so cute! I love both! I love the mosaic one. I'll go and check it out. I really really love both of these nails, and I so will be copying that tutorial come Christmas time and I love my nails again ahaha. I will be sending you an email today or tomorrow about a guest post! thank you for offering <3 so excited. Yay, cool! Let me know if you do it so I can see! And can't wait to guest post on your blog! Christmas nails are perfect! I love, love, love them! Thank you! I like them best too! I love your Christmas tree nails! They are so adorable!! 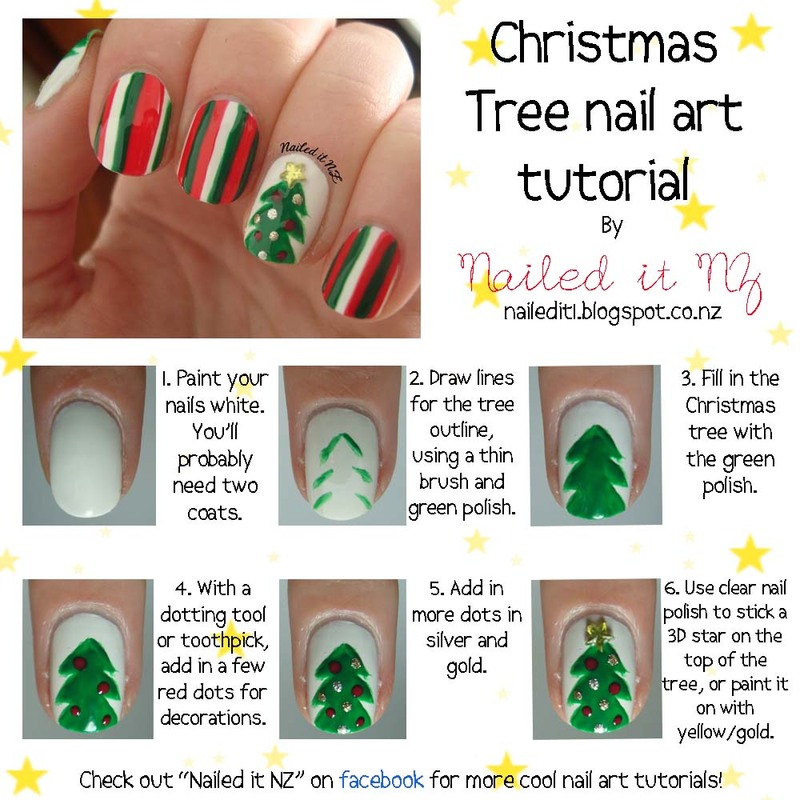 This is such a wonderful & cute tutorial for christmas!